World MasterCard Fashion Week came and left in lightening speed. Although I didn't get to all the shows I had hoped to, I still felt exhausted when I woke up on Saturday morning (I even slept in until 9:00 am!). It's possible that the open bar at the Fashion Magazine Award Party has something to do with it, but more likely it was just the exhaustion of the week; running around from work to shows, not eating properly and late nights. By Saturday afternoon I needed a re-boot. I whipped up a batch of my favourite detox tea, put on a pair of wool socks and hid indoors from the rain. I always get the detox tea from Rawlicious and since it's easy enough to make at home, I often make a large pot and let it brew throughout the day, adding hot water as needed. 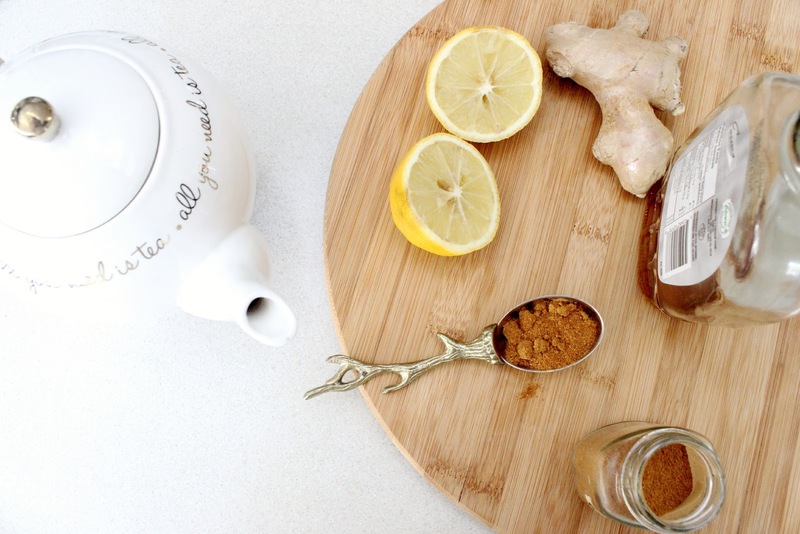 It's the perfect blend of lemon, ginger and spice. Rawlicious adds maple syrup to their tea which is definitely tasty, but if you don't feel like the sweetness feel free to omit it. After one sip you'll instantly feel the cleansing affects. It's a great start to getting back on track after a crazy week! Boil water. Add all ingredients to mug. Pour water into mug when boiled. Let steep for 5-10 minutes. LOVE this, thanks for sharing Gabriella. I definitely will need to whip up a batch of this tea during the week.